You are never too old to try new things! Ever since my first foray to the Metropolitan Museum of Art in New York City, at the age of 17, I have been awed by art. When I was 20, I worked for an art shipping company in SOHO that was in the same building as the top three New York galleries. I dated a few artists at this time. I was surrounded by art and people in the art world. I was going to gallery openings left, right and centre. I was exposed to beautiful and weird things. After awhile, I got a bit jaded with the Art Scene. It is in a way like almost any ‘Scene’. You tend to see the same people, see the same things, and hear the same old, over and over. Then the bitchiness slowly ekes out. Similar to the Tango Scene! I eventually left my job and got a different boyfriend, from the music industry. Another ‘Scene’, another story! This time I was surrounded by music, but I never stopped going to galleries or museums or stopped trying to appreciate art. Believe me, some of it is really hard to appreciate! I am not an expert on art and never will be, but I do get moved by it occasionally. Some of it I get and some I don’t. I might make a joke on occasion about how serious people can be about it and what might actually be constituted as art, but I always start with an open mind. Over the years, I have been given a few paintings and have managed to purchase a few pieces of original artwork. I won’t buy prints. I want a one off original. When I went through my Feng Shui phase, I was very careful about the type of artwork I purchased. Artwork can be very representative of what you may want to attract in your life, so paintings of single figures were a no-no when I wanted a relationship. However, I think one can take that a bit too far and if you really love something and can afford it, then I think one should buy it. I have noticed that most of my artwork features water or landscapes; in the ones with people in them, there is also the sea. Hmmm! 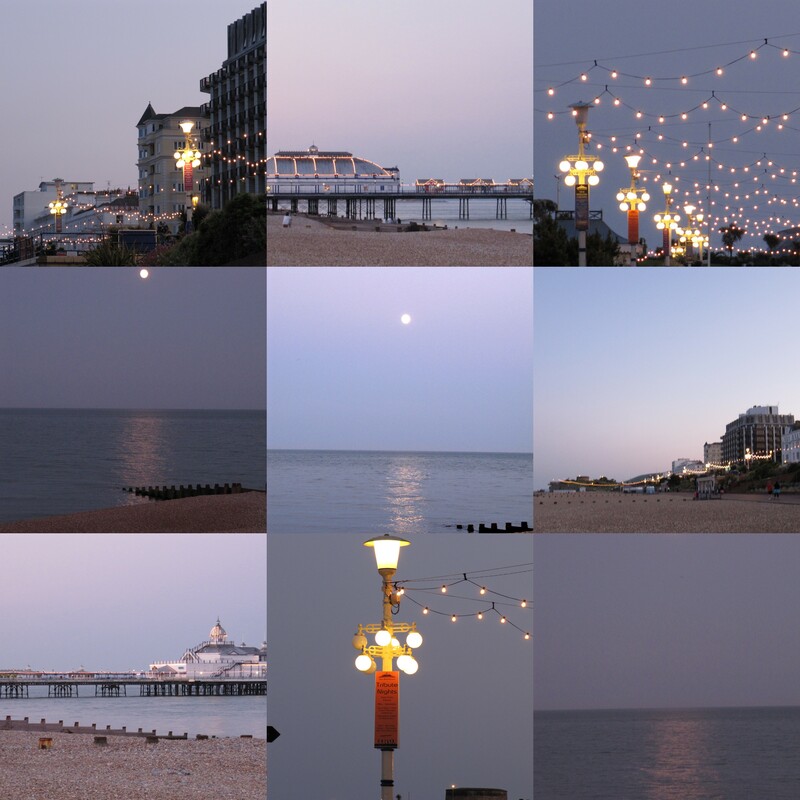 Eastbourne has a wealth of talented artists and creative people. The beauty of the surrounding landscape is very inspiring on many levels. I have come across many talented people here. One of my neighbours restores furniture and takes beautiful photographs of the area and doesn’t even edit them! (I am so envious! 🙂 )My picture framer is also a wonderful photographer and uses Photoshop! Also, the place is full of charity and second hand shops. I have found some lovely pieces trawling through the charity shops, some by a showing artist done many years before he was commanding good money for his work. How the work ended up in the charity shop is a mystery and one I can hopefully resolve as I have been in touch with the artist. In the months before I moved into my new home, I have amassed a nice little collection; some may not be worth more than what I paid, if even that, and some I know are worth quite a bit more. It is amazing what one can find if you look hard enough. Even if what I have may not be worth much, I still like them and that is what matters. The wonderful thing about the little pieces that I have purchased is that they are all originals and all are signed by the artist, whoever they may be. Each person was very proud to put their name on their work and there is a story behind every piece, even if I don’t know what it is. 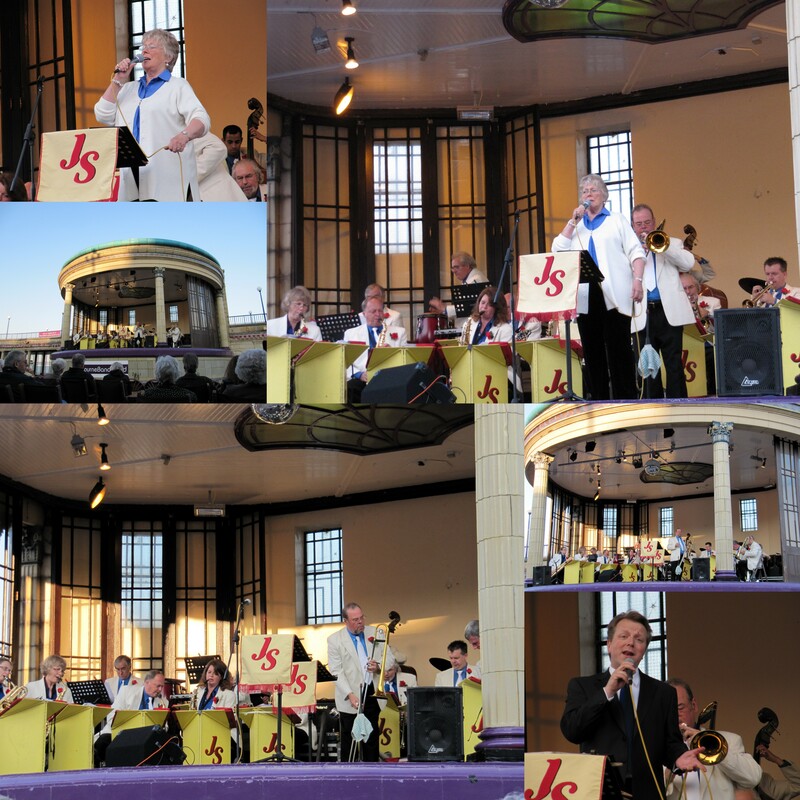 Amor and I went to see the Johnny Spice Swing Orchestra at The Bandstand last night. 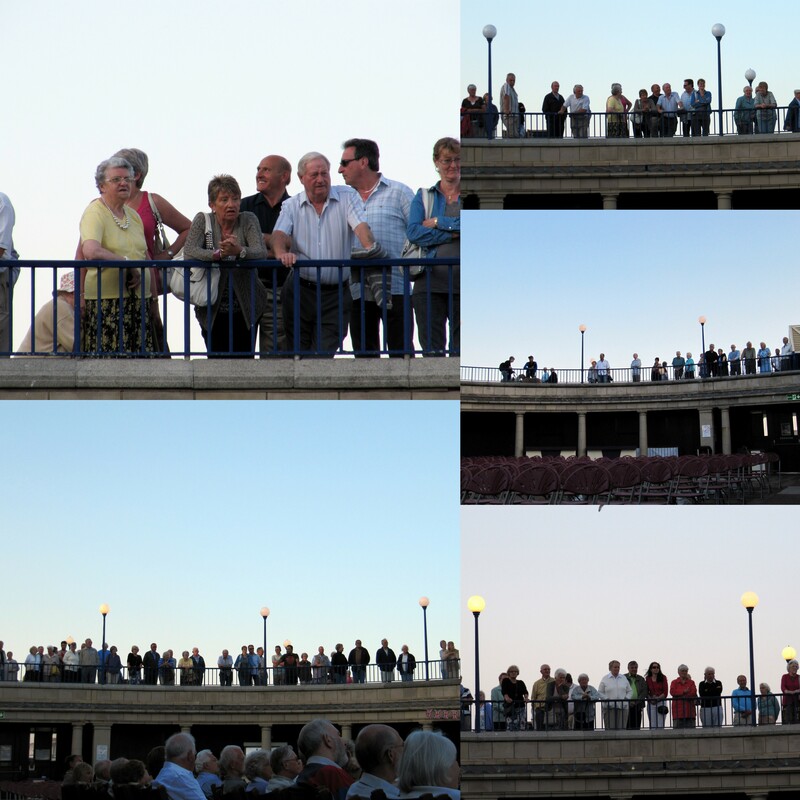 The doors opened at 7:30pm and there was already a queue for tickets. I had purchased ours earlier that morning and was able to get a discount with a Friend of Eastbourne Bandstand membership card. The card is £2.00 and is valid until the end of September 2015. I think that is pretty good value. We found a good seat and waited for the band to start playing. I thought they were pretty good although they didn’t play what I would call swing, which was a little bit of a disappointment. If you are expecting a lively swing band to dance to, then I don’t think this is the band you are looking for. If you want to listen to some nice music, then you won’t be disappointed. These seats are also selling fast. The seats can be booked online or from the seafront office. Gel Press They say they are the orginal Gel Press monoprinting. Dream Big, Pack Lite Arlene’s blog about her dream to travel around Argentina and what happens. Arlene Toth 2008-20117 Arlene’s New Beginning all rights reserved. This blog may be linked to other blogs or websites. No parts of this blog may be reproduced, copied, changed or lifted without the express written permission of the author.